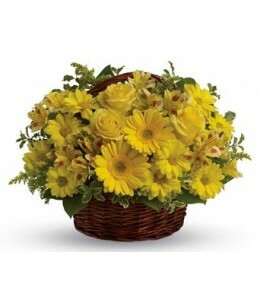 A bouquet of bright balloons is a great way to wish that special someone a happy birthday, congratulations, welcome to the world or get well!If you are ordering these balloons for an occasion other th..
They’ll be walking on sunshine after receiving this cheerful basket of roses, gerberas, alstroemeria and daisies!Flowers are subject to seasonal availability. In the event that any of the flowers are ..
Refresh the senses with the splendour of this colourful blend of gerberas, roses, stock, delphinium and Bells of Ireland in a vase.Flowers are subject to seasonal availability. 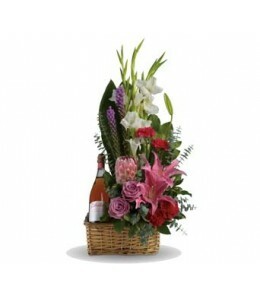 In the event that any o..
Go all out for your special someone with this opulently awesome array of lavish flowers and sparkling wine, hand arranged in a wicker basket. It’s an absolutely irresistible gift.Alcohol delivery is s..
What better way to surprise a new mother than with this lovely baby basket.Gift basket items are subject to availability, if the pictured items are unavailable, they will be substituted with similar i..
A burst of brilliant flowers designed to make their spirits soar! 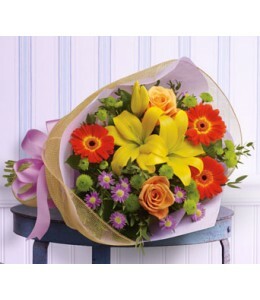 This spectacularly colourful bouquet includes lilies, gerberas and roses.Flowers are subject to seasonal availability. In the event th..
Shower them with sunshine! 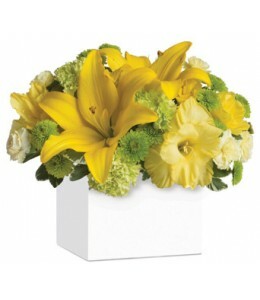 An abundance of yellow and green blooms bursts from this stylish container, bringing smiles along with it.Flowers are subject to seasonal and regional availability. In the e.. 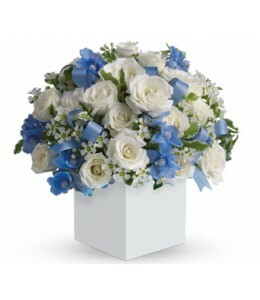 Celebrate the coolest baby boy’s arrival with this charming box arrangement that arrives chock full of pretty flowers. 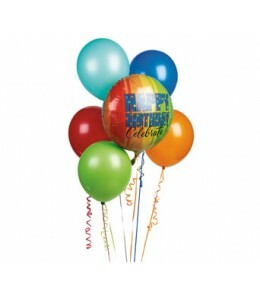 Perfect for baby showers too!Flowers are subject to seasonal availability. In the.. 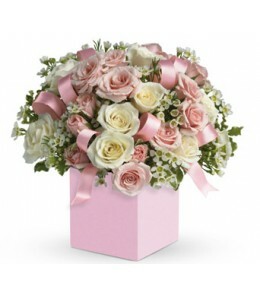 Celebrate the cutest baby girl’s arrival with this charming box arrangement that arrives chock full of pretty flowers. 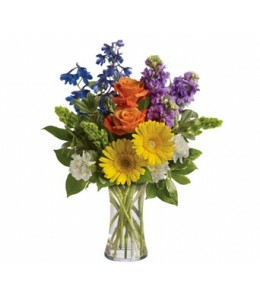 Perfect for baby showers too!Flowers are subject to seasonal availability. In the..